Li Cheng is director of research and a senior fellow at the John L. Thornton China Center at the Brookings Institution in Washington, DC. 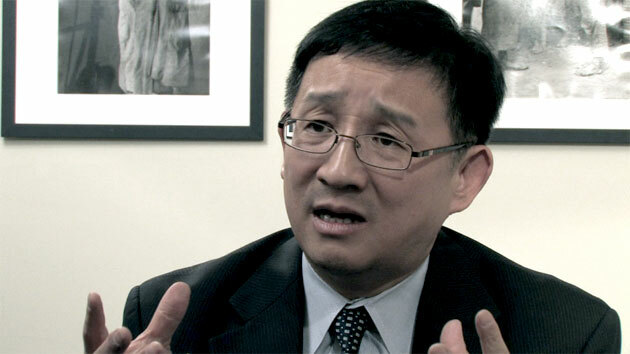 Dr. Li is also a director of the National Committee on U.S.-China Relations. Dr. Li grew up in Shanghai during the Cultural Revolution. In 1985 he came to the United States, where he received an MA in Asian Studies from the University of California, Berkeley and a Ph.D. in Political Science from Princeton University. From 1993 to 1995, Dr. Li worked in China as a fellow with the U.S.-based Institute of Current World Affairs, observing grassroots changes in his native country and interviewing political and business leaders as well as people from all walks of life. Based on this experience, he published a nationally acclaimed book, Rediscovering China: Dynamics and Dilemmas of Reform (1997). Dr. Li is also the author or editor of China’s Leaders: The New Generation (2001), Bridging Minds Across the Pacific: The Sino-U.S. Educational Exchange 1978-2003 (2005), China’s Changing Political Landscape: Prospects for Democracy (2008), and China’s Emerging Middle Class: Beyond Economic Transformation (forthcoming 2010). Before joining Brookings in 2006, Dr. Li was the William R. Kenan professor of government at Hamilton College, where he had taught since 1991.